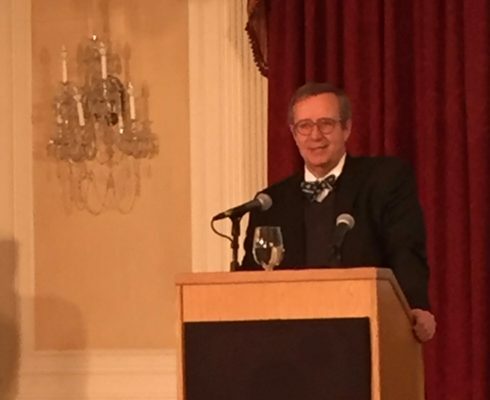 Toomas Hendrik Ilves, the former president of Estonia, was named World Leader in Artificial Intelligence and International Cybersecurity by the Boston Global Forum and the Michael Dukakis Institute for Leadership and Innovation. 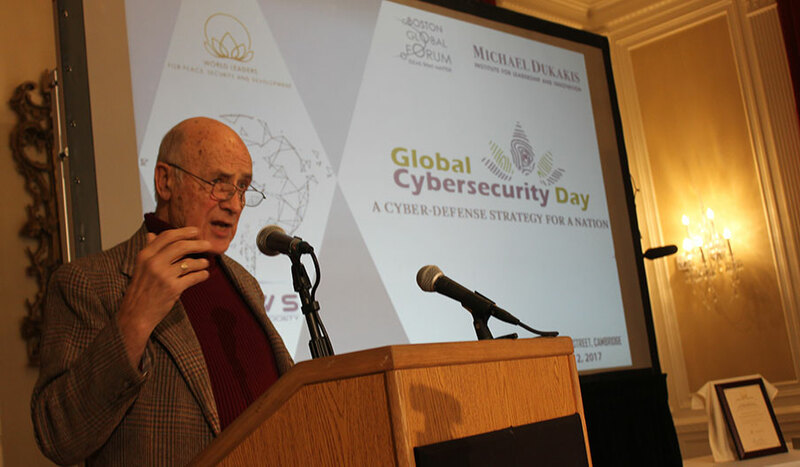 The award was presented to him at the third annual Global Cybersecurity Day conference held at Harvard University on December 12th 2017. Pres. 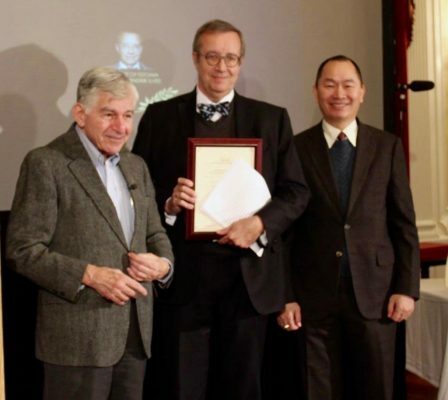 Ilves was recognized for fostering his nation’s achievements in developing cyber-defense strategies, and for establishing Estonia’s pre-eminence as a world leader in cyberspace technology, defense and safe Internet access. Indeed, Estonia’s cybersecurity and access principals that focus on assured identity in every transaction have become a model for other nations around the world. During Pres. Ilves’s term term in office, Estonia became a world leader in cybersecurity-related knowledge. The country now ranks highest in Europe and fifth in the world in cybersecurity, according to the 2017 cybersecurity index, compiled by the International Telecommunication Union. The country also hosts the headquarters of the NATO Cooperative Cyber Defense Centre of Excellence. Also honored for contributing to the advancement of Artificial Intelligence and Cybersecurity was Prof. John Savage who was awarded Distinguished Global Educator for Computer Science and Security on the 50th Anniversary of Brown University’s Computer Science Department. Protecting its citizens has always been the responsibility of the state and is part of our social contract. “We give up certain rights for protection, but we have been slow to get there in the digital world. 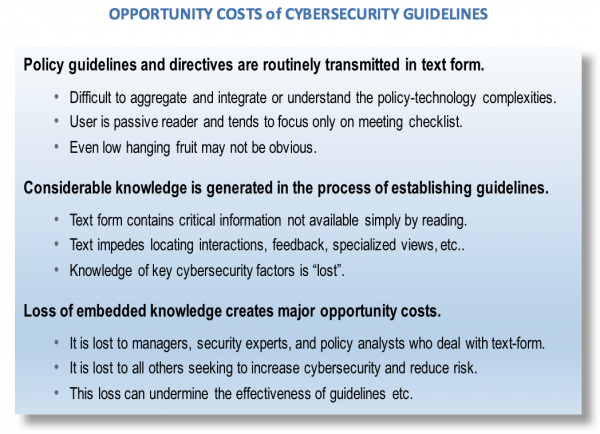 When it comes to the cyber world, we are too focused on technology,” rather than policies that will enhance our safety on the Internet. “Estonia’s cybersecurity technology is not advanced, but we are ahead on implementation,” he said adding, “There is a huge difference between what we do and other countries – our focus was not on the gee whiz technology,” but on implementation of a system that relies on positive identity, which is the foundation of the country’s cybersecurity program. Additionally, all bureaucratic dealings are online and, with assured identity, Estonia has eliminated the need to request personal information repeatedly. Once personal information is on file, Estonian law prohibits any agency from requesting that that information ever again. An Estonian can get his or her birth, obtain a driving license, alloy for a building permit and register for school without having to fill out the same information repeatedly. By the late 1990s Estonia determined, “The fundamental problem with cyber security is not knowing who you are talking to. 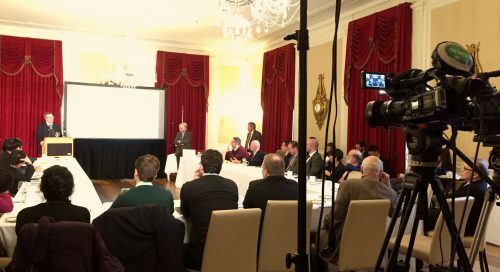 So we started off with a strong identity policy; everyone living in Estonia has a unique chip-based identity card using two factor authentication with end-to-end encryption.” This is more secure than using passwords which can be hacked. Nearby Finland has joined in implementing such a system along with Panama, Mexico, and Oman. Turning to cybersecurity, global efforts to limit cyberattacks by states, “especially against critical infrastructure” began in 2015 in a report taken to the UN Group of 20 the world’s most powerful economies made up of 19 nations and the European Union. In 2017, however, they failed to reach consensus due largely to difficulties between the US and Russia. China backed off as well. Finally, when XI Jinping and President Obama met in September of 2015, China agreed to no longer acquire intellectual property. “While some IP spying continues on the margins, there has been a discernable reduction since the meeting,” said Nye. Nazli Choucri, Professor of Political Science, MIT and Director, Global System for Sustainable Development noted that, while it is a long way from norms to international law, it is especially important to recognize the important contributions of the Tallinn [Estonia] Manual 2.0 on International Law Applicable to Cyber Operations for Cyberspace Operations, to current thinking about order in a world of disorder. When reading the the four part Manual it should come as no surprise that the state and the state system serves as anchor and entry point for the entire initiative. Part I is on general international law and cyberspace, and begins with Chapter 1 on sovereignty. Part II focuses on specialized regimes of international law and cyberspace. Part IV on the law of armed conflict. Each Part is divided into Chapter (some of which are further divided into Sections), and each Chapter consists of specific Rules. It is at level of Rules that the substantive materials are framed as explicit directives – points of law. This approach — presented in the best tradition of linear text –records the meaning of each Rule, Rule by Rule and its connections to other Rules. A document of nearly 600 pages, the Manual amounts to a daunting task for anyone who wishes to understand it in its entirety, or even in its parts.. Further, the text-as-conduit may not do justice to what is clearly a major effort. It is difficult to track salient relationships, mutual dependencies, or reciprocal linkages among directives presented as Rules. For these reasons, researchers at MIT found ways of representing the content of the 600 pages of theManual in several different visual representations that are derived from the text. The purpose is to understand the architecture underlying the legal frame of the Tallinn Manual. One type of representation consists of network views of the Rules – all 154 of them in one visual form and in one page. And there are many more. No longer are we dealing with rather dry text form of equally dry legal narrative. Rather we are looking at colorful networked representations of how the various Rules connect to each other – and to some extent why. This summary does little justice to process or product. At the same time, however, it points to new ways of understanding the value of 600 pages of text. By definition text undermines attention to feedback, delays, interconnections, cascading effects, indirect impacts and the like – all embedded deep text. This is true for Tallinn Manual 2.0 as it is for responses to Presidential Executive Order (EXORD 2017). The text-form may be necessary, but it is not sufficient. In fact, it may create barriers to understanding, obscure the full nature of directives, and generate less than optimal results – all of which prevent good results. If there is a summary to be made, it is this Table. He added that effectively combating cyber threats can be hampered by “tension between intelligence agencies and Cyber Command which is charged with responding. Cyber Command might be able to attack ISIS in cyberspace, but then the intelligence community will lose assets. Attacks also needs clearance from Congress,” thus delaying action. “Cybersecurity measures also challenge our idea of what’s public and what’s private,” said Reveron noting that cyberspace is monitored and run by corporate entities that are global not national—companies are more important than governments” in defending cyberspace, he said. 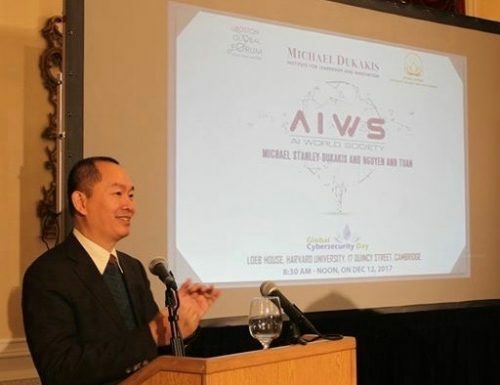 During the meeting, Tuan Nguyen introduced the launch of the Artificial Intelligence World Society, an offshoot of the Michael Dukakis Institute for Leadership and Innovation. 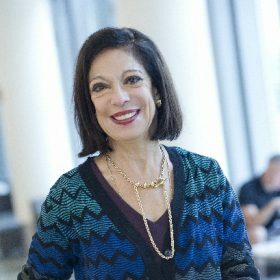 Boston Global Forum , a think tank with ties to Harvard University faculty, includes scholars, business leaders and journalists. 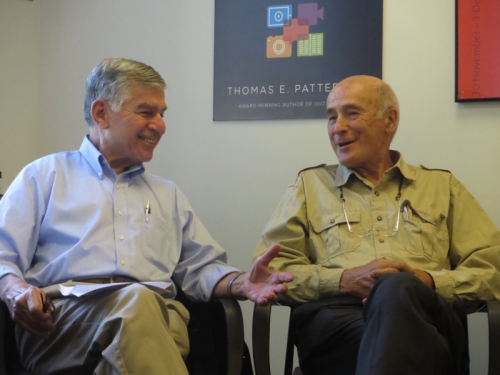 BGF is chaired by former Massachusetts Gov. 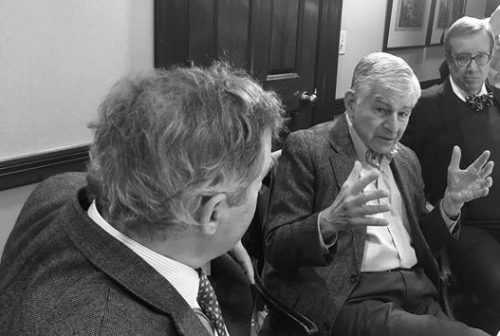 Michael Dukakis, a national and international civic leader and BGF’s cofounder As an offshoot of The Boston Global Forum, The Michael Dukakis Institute for Leadership and Innovation (MDI) was born in 2015 with the mission of generating ideas, creating solutions, and deploying initiatives to solve global issues, especially focused on Cybersecurity and Artificial Intelligence.